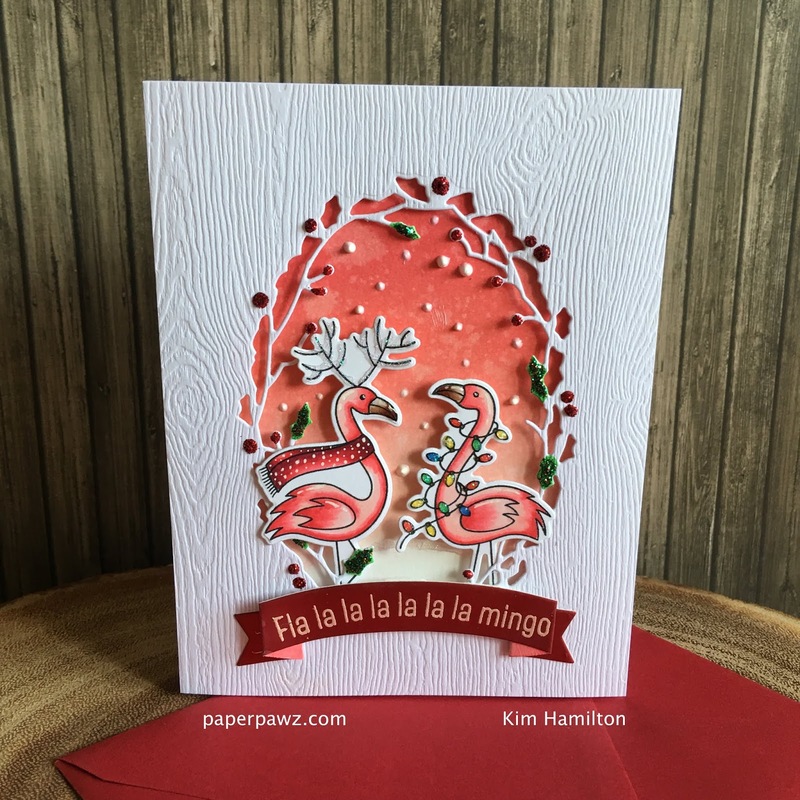 Paper Pawz: Fla la la la la la la mingo! Happy Monday! For the first time in my professional life I have decided to take a well-deserved week off to myself in November! Yes and I am so happy. I signed-up for the new on-line card class and I will be able to participate in real time! I have some real crafty plans for the week! 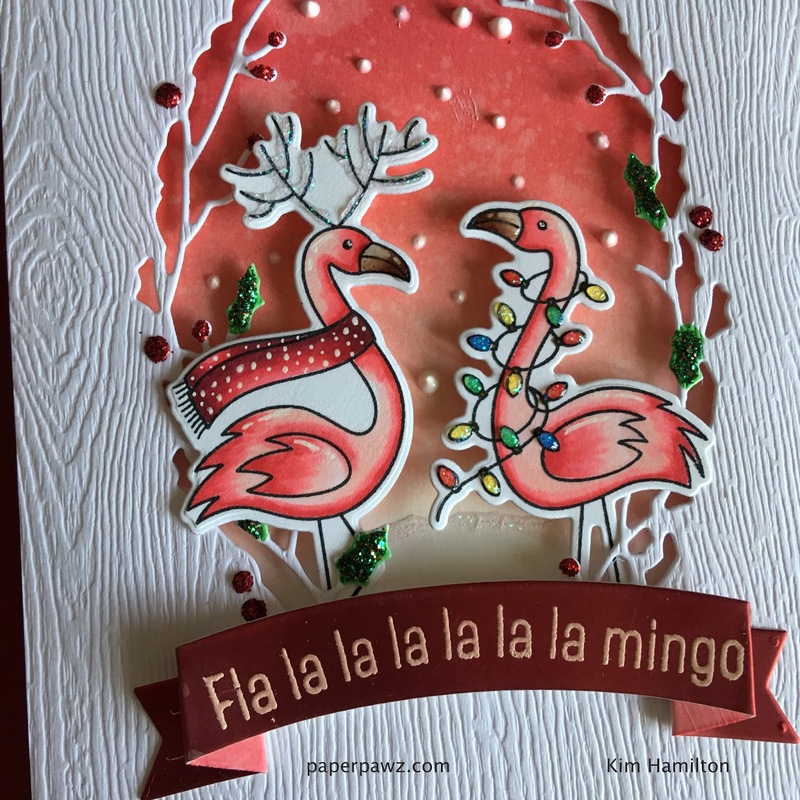 I can't even with these MFT Festive Flamingos! I mean seriously adorable! I had such fun with this one and it was my maiden voyage with the new Festive Berries Oxide Ink (LOVE THAT COLOR)! I started by blending my background with Festive Berries, Abandoned Coral and Tattered Rose Distress Oxide Inks. I added some water with my Distress Sprayer for added effect. 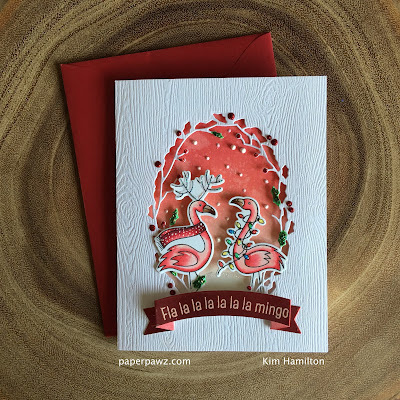 I then colored these beautiful Festive Flamingos with my Copics and used the accompanying dies. I chose this beautiful Simon Says Stamp Exclusive Holly die with some Tim Holtz woodgrain cardstock, I love the added texture. I adhered the background panel with foam tape for added dimension and then added some Christmas Red and Holly Stickles to the frame for added color. 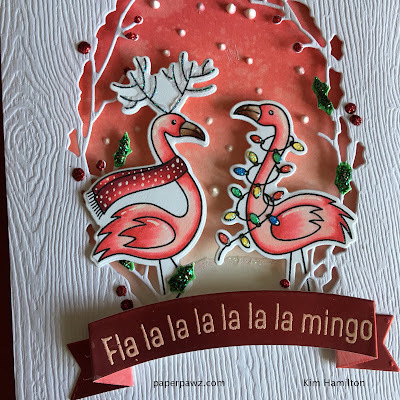 I used foam tape for my Flamingos, and added some glossy accents, white blizzard and white Nuvo drops to the flamingos and the background. 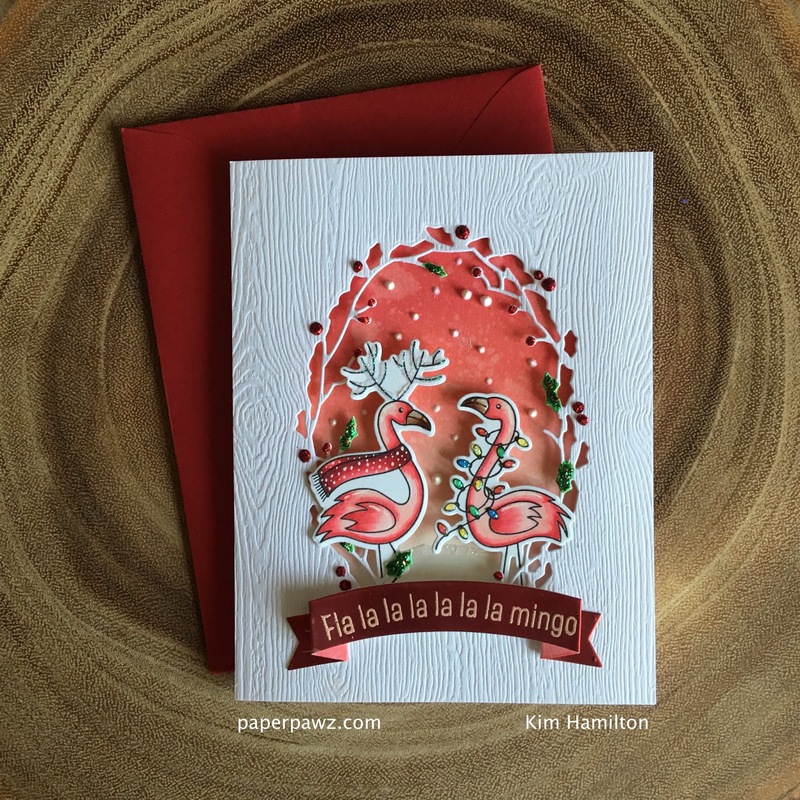 I finished by embossing my sentiment with Rose Gold embossing powder on Tonic Scarlet Organza specialty paper and used an MFT banner die. I do love the way it turned out! All products are listed and linked below affiliate links are used at no extra cost to you!